Learn: How Will Our Children Have Faith? 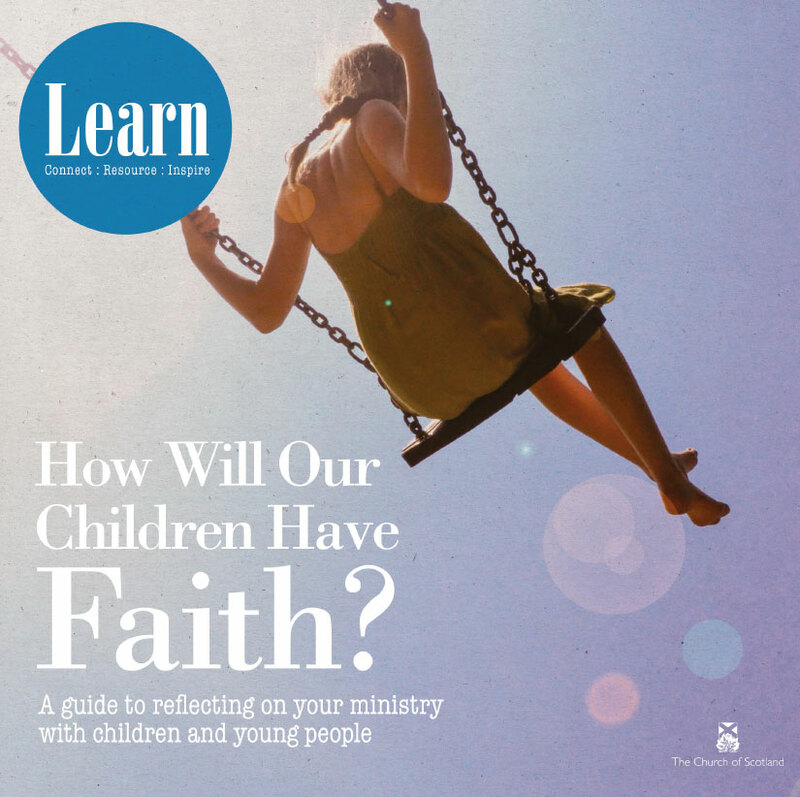 The Learn publication How will our Children have Faith? is a short discussion guide which explores the reasons for working with children and young people. This discussion guide can support congregations in reflecting on their work with children and young people. We're encouraging them to stop asking 'how' but to take a step back and say 'why', and then to go from there. This publication is aimed at kirk sessions, and groups working with children. This publication was written as a result of consultations about children and youth ministry in the Church of Scotland and concerns that numbers of children and young people in churches are declining. Many churches have few or no children attending Sunday services. Some of the ways that we have ‘done’ church or ‘taught’ children are no longer working. We recognised that people were reaching for the next resource without thinking about why they wanted to do things in the first place and not being able to adapt resources into their own contexts. Each section is designed as a discussion starter and identifies questions that could be discussed by groups. 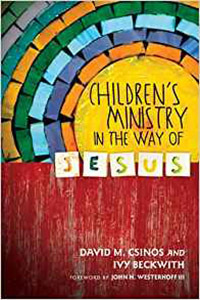 The resource is designed to be used particularly by Kirk Sessions and groups within a church wanting to discuss a way forward and new opportunities to connect with children and young people local congregations, but can also be used by Presbytery Groups. Through working through the sections of the booklet, a church can review their context and situation for children and young people and explore new ways forward to develop a strategy and new ways forward for ministry to children and young people in their local area. Abernethy Presbytery used this Booklet as a tool for a day conference. People from across the Presbytery attended and we followed the outline of the book as our guide for the day. We particularly appreciated the opportunity to reflect share ideas and hear what was going on in other churches. Explore together and the Bible based nature of the Booklet. This has encouraged some churches to try something new with children and young people eg a 'Wellie Walk' for younger children. A Prayer space at church including a children's afternoon. 'Bubblegum and Fluff' at one of the churches for all the P6's feeder primaries for the local high school which was a great success. The prayer space at the end helped to give folk time to reflect and think about ongoing ways for the church to connect with the school. The Congregational Learning Group of the Mission and Discipleship Council is seeking to inspire and resource churches with new ways of approaching mission and discipleship with children and young people through further Learn publications and Community of Faith Conferences. Using this Learn publication may lead to you wanting to read more widely and address the issue of why and how we share faith with our children and explore some next steps. The following information, contacts and reading can help with this. 'Now You're Talking' Facebook Group a place to share ideas, resources, useful articles, training opportunities & events. 'Now You're Talking' Pinterest includes ideas of different resources you can use, events to go to and books to read. Statistics for Mission and this companion book, Who is my Neighbour? A user’s guide to Statistics for Mission, have been produced to help your Church understand your own community better. For every parish there is a unique file containing parish maps and data from the 2011 Scottish Census. To find the information for your parish, simply go to the Church Finder. Each parish has a Parish Statistics link which will take you to the file. This has very useful information on the age profile of every parish and data that describes your local area to understand real needs in your local context. Many churches and Christian organizations have ploughed money and resources into youth work projects, only to see their initiatives wither and with it their confidence and enthusiasm. 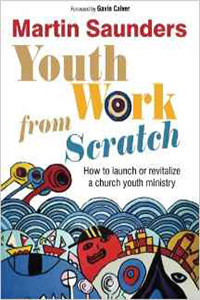 With case studies and principles which address both new projects and those which require a 'jumpstart', plus specific chapters which look at how to regenerate an old project, Martin Saunders applies his considerable experience to help such youth ministries change direction for the better. He addresses a host of 'big picture' issues such as: envisioning your church; recruiting and training volunteers and different models of youth ministry as well as spiritual ones such as adopting strong spiritual disciplines and soliciting prayer support. Practical areas are also considered: your first term; how do you encourage young people to lead; how do you build for the long-term and what to do when you run out of steam. Nearly every Christian parent would give anything to find a viable resource for developing within their kids a deep, dynamic faith that "sticks" long term. Research shows that almost half of graduating high school seniors struggle deeply with their faith. This easy-to-read guide presents both a compelling rationale and a powerful strategy to show parents how to actively encourage their children’s spiritual growth so that it will stick to them into adulthood and empower them to develop a living, lasting faith. 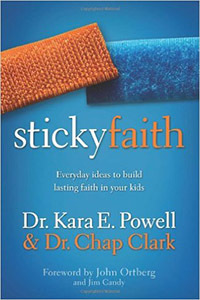 Written by authors known for the integrity of their research and the intensity of their passion for young people, Sticky Faith is geared to spark a movement that empowers adults to develop robust and long-term faith in kids of all ages. All churches grow old. Strategic churches grow young. "Growing Young carries an urgent message. Young people need the body of Christ--and vice versa’’. Many churches are losing both members and vitality as increasing numbers of young people disengage. 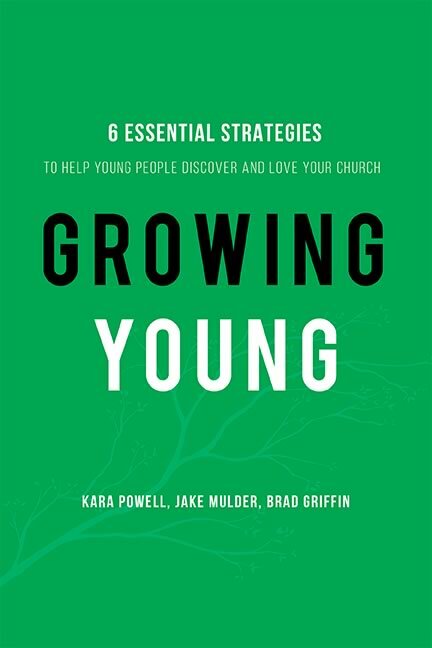 Growing Young provides a strategy any church can use to involve and retain teenagers and young adults. It profiles innovative churches that are engaging 15- to 29-year- olds and as a result are growing--spiritually, emotionally, missionally, and numerically. Packed with both research and practical ideas, Growing Young shows pastors and ministry leaders how to position their churches to engage younger generations in a way that breathes vitality, life, and energy into the whole church. The forthcoming Learn: Children and Youth publication (due out in August 2017) will be exploring aspects of Being Together; Working Together; Forming Together.